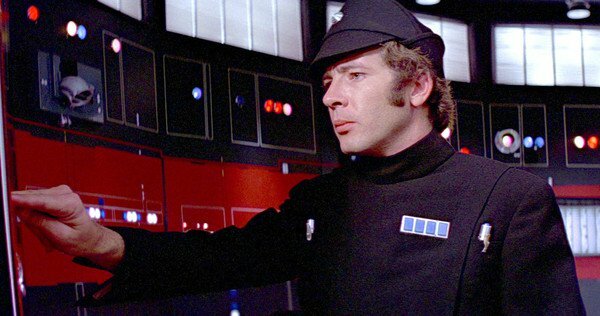 Peter Sumner, who played Lieutenant Pol Treidum in the original Star Wars, has died after a long illness, The Sidney Morning Herald reported. He was 74. In the 1977 movie, Treidum notices that two stormtroopers are not at their assigned stations and says into an intercom: “TK-421, why aren’t you at your post? TK-421, do you copy?” Later, he’s punched by Chewbacca and driven backward. That alone made him a favorite at sci-fi conventions and the recipient of thousands of letters from fans over the years. Sumner returned as Treidum in the 1999 Star Wars fan film The Dark Redemption. He was the only actor from the original to reprise his role. During his busy five-decade career, Sumner also appeared in Tony Richardson’s Ned Kelly (1970), starring Mick Jagger; worked on the kids show Play School; and had regular roles on such series as Spyforce and Cluedo. His Australian soap opera credits included Neighbours (as Ewan O'Brien), Heartbreak High (as Les Bailey) and Home and Away (as Edward Dunglass Snr.). Survivors include his wife Lynda and children Luke, Kate and Joanna.